1. All prices quoted on our website are for the prodcuts only and do not include freight which will show separately on "globes" invoices. 2. Deliveries typically take between 3 and 5 days. 3. Our freight calculations are for deliveries to New Zealand addresses. Email us at info@globes.co.nz for shipping rates to other countries. 5. 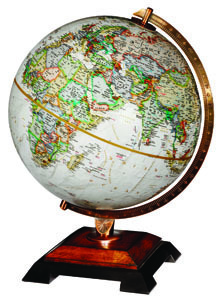 The customer must inspect the goods immediately upon delivery and, in all cases, must inform "globes" in writing within 7 (seven) days of delivery of any damage, shortages or non-delivery of the goods. 6. 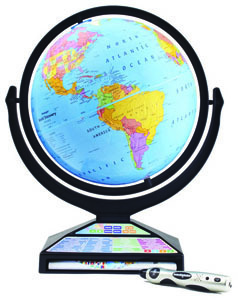 If a globe is out of stock, you will be contacted and offered to either backorder the product, change the order to a similar product or receive a full refund. 1. We do not have to provide a refund if you have changed your mind about a particular purchase, so please choose carefully. If the goods are faulty we will meet our obligations under the Consumer Guarantees Act to provide a remedy. 2. If a refund is deemed appropriate we will action this either by return of credit to the Credit Card used to make the original purchase or by other means at our discretion. 3. No returns will be accepted without a Return Authorization (RAN) Number. To obtain an RAN, email info@globes.co.nz. 4. If the product purchased was a special order, and not part of our regular inventory, it is not returnable. 5. Returned products must be complete and in ALL the original packaging. Returns must be securely packaged to ensure the product's safe return. All returned products will be inspected on arrival. 6. Shipping charges are not refundable. The customer is responsible for shipping charges on all return shipments, including defective products. 7. Discontinued, end of line products or sale/special items can only be returned for repair.